If you would like to know more about our next upcoming events then please contact us to let us know when and where you would like to meet. 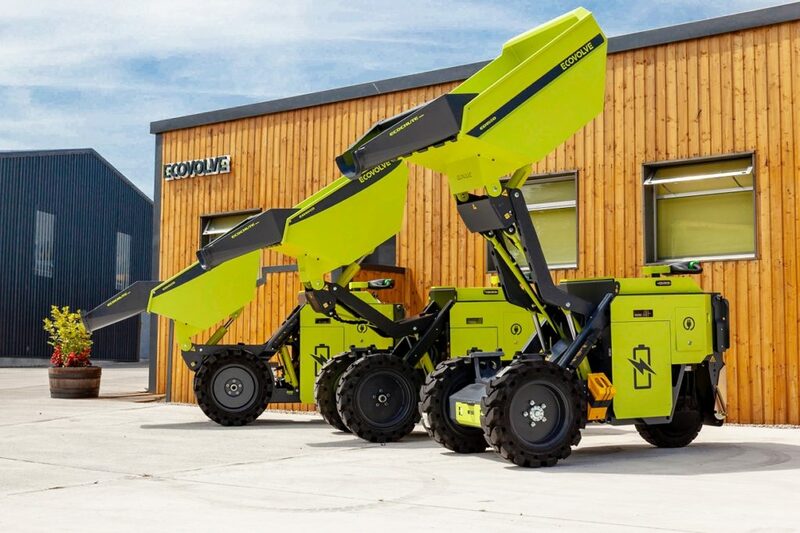 Ecovolve designs and manufactures compact electrical/green machinery. 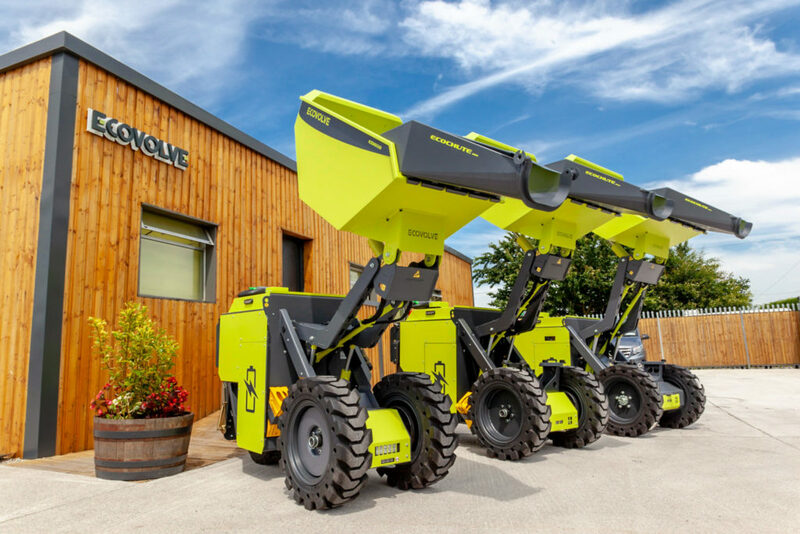 The electric dumper range (ED800, ED1000 and ED1500) from Ecovolve are versatile new machines, capable of operating both indoors and out. The largest of the ED range (the ED1500) is still less than 1.2 meters/47 inches wide with a turning circle of just 1.6 meters/63 inches. 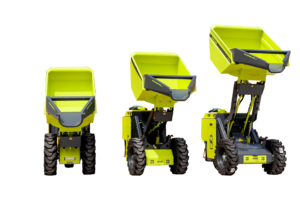 All of the Ecovolve electric dumper range has been designed with tight spaces in mind. Its battery pack will provide power for a typical working day on just an 8-hour charge. 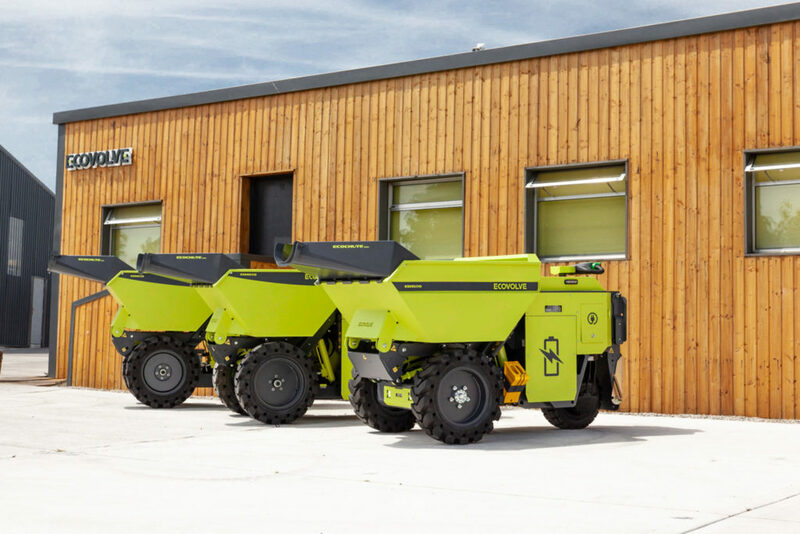 The electric dumper is perfect for use where operating levels must be low while the compact size and turning circle means that the ED can go where others can’t.